Oh, the stories I could tell. Over the seven years I spent as a travel agent, I saw a number of trips interrupted or canceled because of medical and family emergencies. The unthinkable happens – an appendix burst a few days before an international flight, a son passes away while cruising the Caribbean, or an epic snowstorm closes down an airport. (Yes, these all happened to my clients)! The most stressful? My own mother’s medical emergency while visiting Europe. Travel insurance is a vital piece of vacation planning. We purchased Allianz Global Assistance before taking our 3-week trip to Australia. Traveling with small children, the last thing I wanted to be concerned about was lacking emergency assistance. So much time and money goes into travel and protecting that investment -and our health- was something I valued. 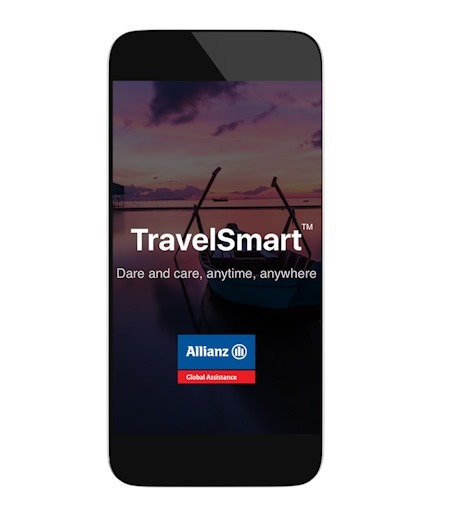 So, being the travel insurance advocate that I am, I was excited to hear how the TravelSmart™️ App by Allianz Global Assistance would give me even more confidence to travel safely. The redesigned TravelSmart™️ app makes it easier than ever to get assistance while traveling! First things first, you have instant access to your travel insurance policy. Any Global Allianz travel insurance policy is accessible from the home screen. You can even look at benefit allowances or download a PDF of the policy. While dealing with an emergency, the last thing you want to be searching for is a chunk of papers in the bottom of your suitcase. The TravelSmart™️ App allows travelers to file and track claims right from their smartphone. When I flew to London to help with my mother’s emergency, it would have been so nice to have filed a claim at the touch of a button. Instead, in an effort to help out my dad and get the ball rolling, I spent lots of time in the hotel lobby inserting coins into a payphone. Technology can really save time in the midst of an emergency. 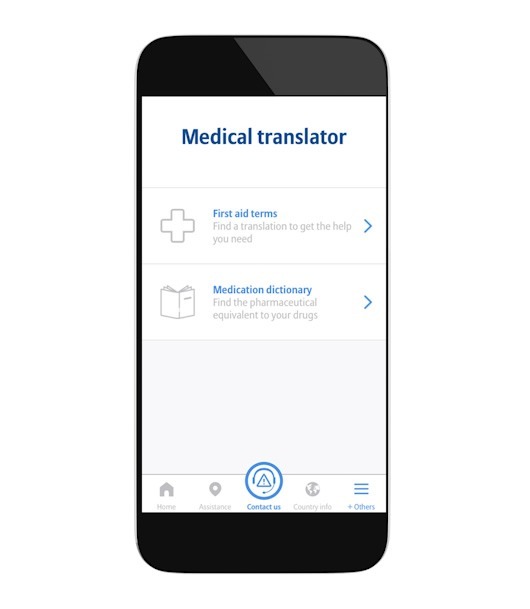 Additionally, The TravelSmart™️ App has a Medication Dictionary which gives international names for 750 common drugs! Instead of sending an email or making an expensive phone call to your doctor at home, the answer to drug names are right at your fingertips, any time of the day. In addition, 60+ first aid terms are translated. So, if you find yourself in an unfortunate situation at a foreign ER, you’ll know how to ask for the help you require. Travelers in need of a doctor’s office, pharmacy, or police station, can use the app’s function titled, Assistance Around Me. The geolocation service links with Apple or Google Maps to give helpful directions. Because 911 doesn’t work in every country, you can even access local ambulance numbers and dial them directly from the App. Lost passport? Directions to the closest embassy are included! Often we think of travel insurance as only being for epic travel disasters or emergencies. But what about lost luggage? Delayed flights? These happen frequently among travelers and TravelSmart™️ App by Global Allianz can help you with these as well. After entering your initial flight information, you’ll get real-time updates on your flight status. You can also file a claim for lost luggage directly from the App. Travelers can also set their claim to be paid by direct deposit or debit card payment. What a help this is for younger travelers (like me) that rarely visit a physical bank! Also, for travelers on an extended trip, this leaves the possibility of receiving your money back before returning home. There is no purchase necessary to download the TravelSmart App. Feel free to give it a try! 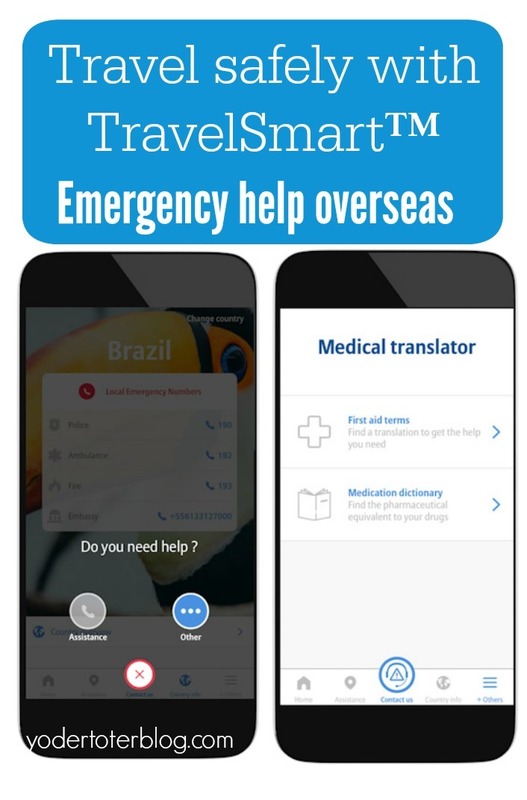 Want more information on how the TravelSmart™️ App by Global Allianz could help you in an emergency? Have you had an emergency during travel? Can you see how this App would make your life easier? I’d love to hear from you!